Over 25 startups demoed at today’s 500 Startups demo event on the Microsoft campus in Mountain View. The companies presented their ideas to an audience that included investors, larger companies, and the press. It was a non-stop parade of ideas and disruptions. But within the flurry of buzzwords, PowerPoint presentations, and DubStep powered demos there were some real gems. 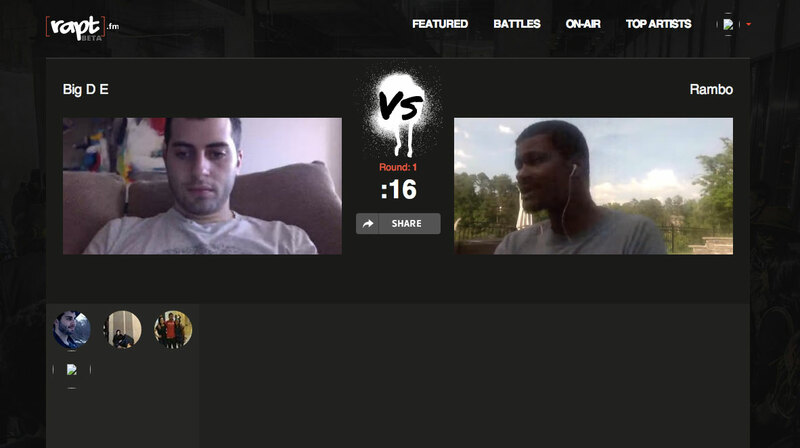 If you’re a fan of the Eminem vehicle 8 Mile, or just want to see two people battle rap from the comfort of your home, check out Rapt. Budding rappers can partake in multi-round, five minute battles with each other. Beats are supplied by the site and each rapper gets 45 seconds per round to throw down their lyrics. Winners are chosen by spectators, and level up and try to make their way up the site’s leaderboard. But, the site has expanded beyond rapping. Some users use the site to debate topics while some others are using it to karaoke battle. Learning a new language is tough and it’s a good way to realize all the other things you need to do around the house besides learn that language. Suddenly, instead of learning Spanish, you need to clean the garage. CultureAlley gets around that procrastination by embedding itself in something you’re already doing to waste time; checking Facebook. 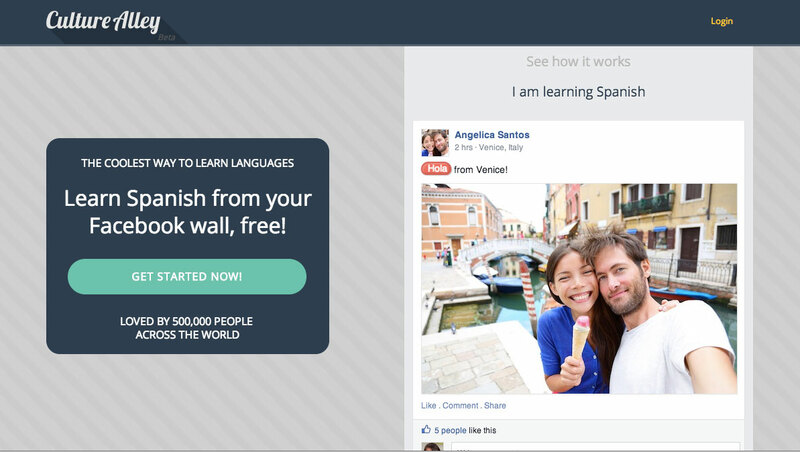 The app replaces words in your Facebook feed with words of the language you’re learning. Correctly define a word and gain points. If you want to expand the learning beyond Facebook, a Chrome extension puts Culture Alley on all the sites you visit. You could learn Spanish while trolling Reddit. 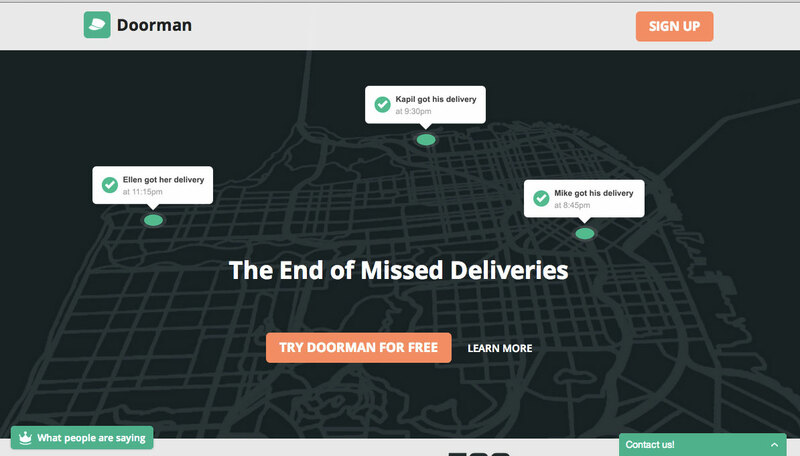 The Doorman app and service solves the biggest problem with online shopping. When the product is delivered to an empty home. Coming home to a missed delivery slip is the worst. You have to wait until the delivery service comes back to your home. Probably while you’re at work. Or worse, you have to run to the distribution center and wait in a 45 minute line for your package after a long day at work. The Doorman service gives you a Doorman address to ship your items. When a package arrives you receive a notification on your phone and with the Android or iOS app you can schedule the package to be delivered when you’re actually at your home anytime before midnight. Upgrade your next vacation with BidAway. The luxury vacation auction site lets would be ballers bid on unsold hotel, cruise and event inventory. 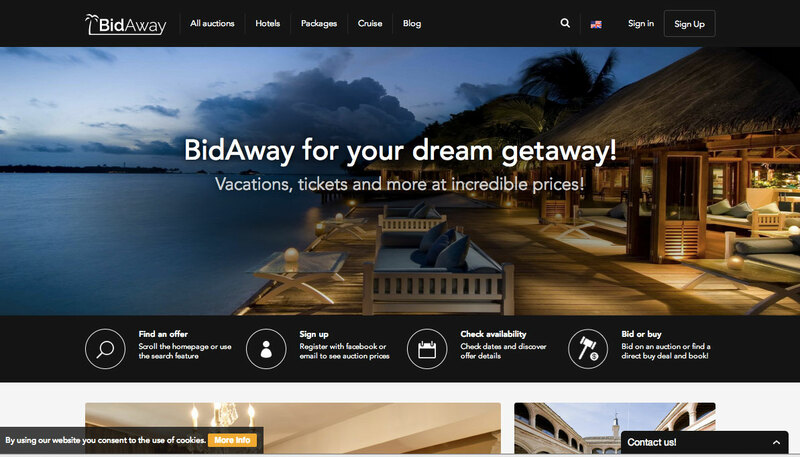 BidAway users get to enjoy the luxury vacation they’ve always wanted at a discount, while destinations get to sell items and accommodations that would otherwise sit empty or unused. BidAway users can bid on hotels, cruises, holiday packages, sporting events and concerts. And soon, meet-and-greets with your favorite celebrities. The service is rolling out in the United States and a mobile app is currently under development. Remark makes video collaboration with multiple parties easy. Collaboration sites for static images have been around for years. 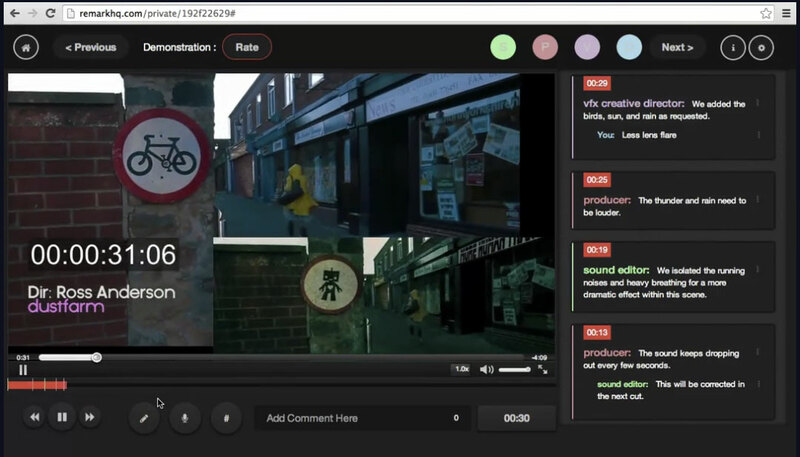 Now videos shared via Remark enjoy the same collaborative system that allows anyone to annotate on a project. Users can mark frame by frame any changes that need to be made within their web browser. It’s easier than dealing with timecode and the editor can see exactly what a client wants changed in a video. The information gathered by the service can be output as in-app annotations for Final Cut Pro, Adobe Premiere, and AVID. Potentially the cutest or creepiest iPad case available. 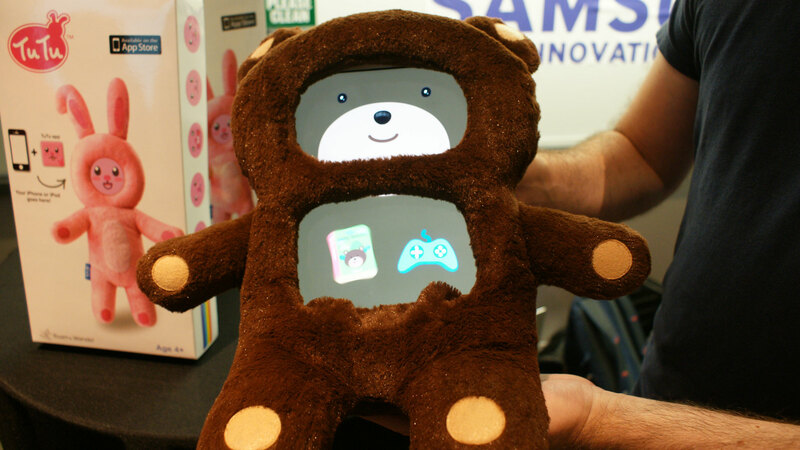 The Roam & Wander DiDi teddy bear case and companion app teaches kids about colors, shapes and reading while the bear is being cared for by the child. The teddy bear ships with companion touch toys that enhance the experience and teach kids valuable lessons. Like brushing your teeth. The app and case split the iPad’s screen in two for a unique experience with the tablet. Just don’t let your kids actually give DiDi a bath in real water. Make money by turning down your electricity usage during peak hours. That’s the pitch from Ohmconnect. 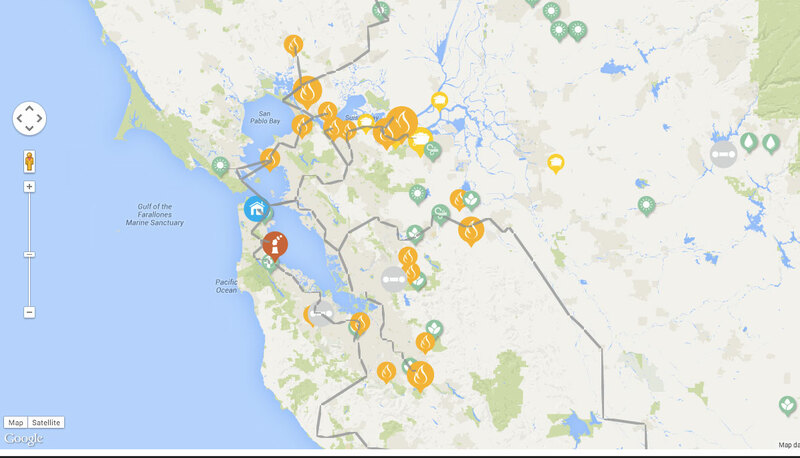 The service alerts you when the power grid is under strain. When that happens, the cost of electricity generally rises to meet demand. If you lower your power usage during that time, not only are you saving money, but Ohmconnect will pay you for cutting your usage during that time. Double win! The service also helps you track your energy usage and you can automate the power reduction during power spikes by linking your Nest or Belkin WeMo system.